His first movie was 1964´s Nothing But A Man with Ivan Dixon, a low-budget small-scale drama now justifiably considered a classic of black American cinema, and a few years later he won rave reviews killing a cop in The Liberation of L. B. Jones with Lee J. Cobb. In Alien with Sigourney Weaver, he played a worker in the ship´s underbelly who complained of receiving only half pay, until more serious problems emerged. In the James Bond adventure Live and Let Die he played the drug-dealing villain Mr Big, who met an explosive end. He played Idi Amin in Raid on Entebbe, a dead serious yet hilarious federal agent in Midnight Run with Robert De Niro and Charles Grodin, and he delivered perhaps his best performance in the riveting Blue Collar with Richard Pryor and Harvey Keitel. In his first TV series, 1983´s For Love and Honor, Kotto played a bitter drill sergeant who had once been a boxer, and Keenen Ivory Wayans was the raw training camp recruit who wanted to learn the sport. It was not a comedy, and it was not long before it was cancelled. 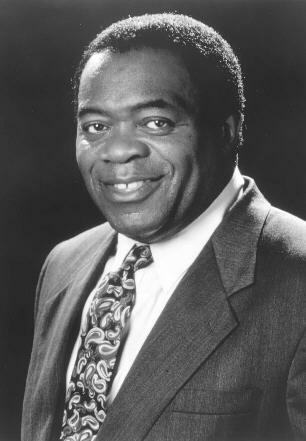 Kotto had more success as Lt Al Giardello, the gruff, pasta-loving commanding officer in the long-running Homicide: Life on the Street with Richard Belzer and Andre Braugher. Both his parents were African Jews, and Kotto is devoutly Jewish. For his autobiography, Royalty, Kotto researched his ancestry and determined that he is a Crown Prince of the family that ruled Cameroon´s Douala region in the late 19th century. "Live and Let Die" (1973) featured the first long-running replacement for Sean Connery´s James Bond - Roger Moore. It also featured the first black Bond villain, Dr. Kananga/Mr. 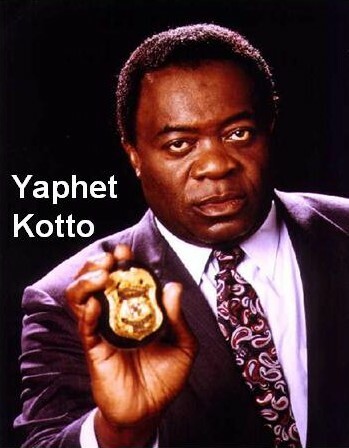 Big (Yaphet Kotto), a dictator of a small island involved in the heroin trade. Producers Albert Broccoli and Harry Saltzman tempered these changes by hiring "Goldfinger" director Guy Hamilton to keep the Bond vibe going. The plot has Bond following the drug trail from New York to New Orleans to the Caribbean, bedding the usual bevy of babes along the way, including tarot-reading Solitaire (Jane Seymour). The DVD, which is in release, is part of a four-set collection of 20 Bond films called "James Bond Ultimate Edition" - reports SFGate. 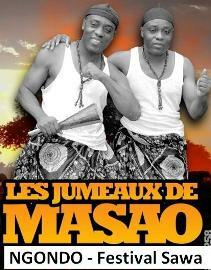 Kotto was born in New York and is descended from Cameroonian royalty. A member of New York´s famed Actor´s Studio, he made his film debut in 1963 in "4 for Texas" and his first real impression the following year in "Nothing But a Man." He hit his stride during the ´70s with roles in "Across 110th Street," "Blue Collar" and "Alien." He´s also the namesake of a hard-core Bay Area band. Q: I remember you as much from "Alien" as I do from "Live and Let Die." A: There you go. But if it weren´t for "Live and Let Die," I wouldn´t have been in "Alien." When you´ve got a hit film, everyone wants to cast you. Q: So that was a huge break for you. A: It was a huge break for me and for black actors and actresses in general. There had never been a black villain chasing James Bond before. A: Yes, it was controversial and didn´t help me because the producers did not want to promote me in the film. In fact, I found out that Time magazine and Newsweek were interviewing the rest of the cast. I went to Harry Saltzman and said, "Why wasn´t I included?" "We were afraid that there´s never been a black villain before. We don´t want people to think stuff." So they didn´t promote me. When it opened, I wasn´t allowed to attend the premiere because everyone was trying to hide Mr. Big. I was in Harlem in a bar, not far from where they shot, with some friends celebrating the opening. I felt kind of bad because I wanted to be with everybody else. I did not expect them to take a racial attitude toward my character and not want to promote him. You don´t see much of Mr. Big, not like Goldfinger and Dr. No and Jaws. Q: So this was some kind of liberal guilt thing? A: He (Saltzman) was tripping with that. He was into this liberal guilt stuff. He was always telling me how (Harry) Belafonte loves England, you aren´t going to get anywhere (in America). I said, "Man, what do you have against America?" He even introduced me to some wealthy chick who I could get hooked up with and stay there. I said, "Look, I just did ´The Liberation of L.B. Jones´ for Columbia Pictures, and this movie had me killing a white man in a threshing machine, and did you see Columbia fall apart?" "No, you are right." "Then why are you scared of promoting this character?" "I don´t want to hurt the cause." Q: Were they thinking it would put audiences off? A: That´s what they told me. In fact, they set me up. One of the actors raised a clenched fist, saluting me, so I raised my clenched fist, and a photographer swiveled around and said, "You´re a militant SOB" and took my picture and gave that to the producers. I had promised Dr. King -- I was with him at a couple of demonstrations -- that I would never do anything militant. So they had me pegged wrong. Q: If they felt that way they shouldn´t have cast a black actor in the part. A: I wanted to ask them why they didn´t cast Mr. Big white. They couldn´t because everybody in the book (by Ian Fleming) was black, but they switched on Solitaire. They had already cast a black actress in the role, and then at the last minute they recast it with Jane Seymour. Q: What was your relationship like with Roger Moore? A: I have nothing to say about Roger Moore. Q: How am I to interpret that? A: Interpret it any way you want. He said in his book ("Roger Moore as James Bond 007: Roger Moore´s Own Account of Filming ´Live and Let Die´ ") -- I don´t know if I read it in there, but one of my secretaries told me -- he said, "Yaphet had a chip on his shoulder." What is this dude talking about? What is his problem? I mind my business, do my job. If he said that, he had no right to because he doesn´t know me that well. I didn´t have communications with him. Q: It´s funny how that sort of strife doesn´t always affect what´s onscreen. A: You don´t bring that to work. My feeling was I was carrying a lot of weight on my shoulders because I was not just representing myself, I was representing a whole race. And besides that, I was representing my country. I was polite, dignified and treated everyone with courtesy, particularly when everyone was saying I should stay in England because England is better for black people. Q: But you got the last laugh. A: I´m getting the last laugh now.